Can you teach a machine to learn, and how? Against a backdrop of increasing automation by advanced systems that are becoming, among other things, chess Grand Masters, that’s the question Jeff Heaton Ph.D. and VP, Data Science at RGA sets out to answer in relation to insurance. 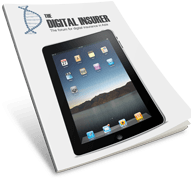 An excellent primer on the topic as well as a deeper dive into the critical complexities of insurance underwriting, that makes it far removed from the computational sophistication required to simply win a board game. 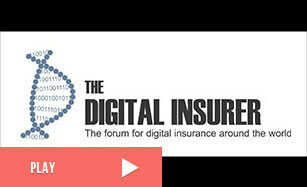 The future of insurance and many other industries may rest upon the answer. Just a month ago, researchers at Google’s DeepMind attempted to find out through the game of chess. The effort revealed just as much about AI’s vulnerabilities as its possibilities. Google’s AlphaZero artificial intelligence or ‘AI’ system defeated the most advanced chess program in existence. The most interesting part: AlphaZero wasn’t pre-programmed with data on previous games – just basic knowledge of the rules, yet the AI discerned the patterns of play with astonishing speed. True mastery of chess is something that few humans achieve in a lifetime; AlphaZero achieved it in four hours. This is the promise of AI – a combination of layered computer algorithms known as neural networks that attempt to process information like a human brain, only with exponentially greater efficiency. AI is already a part in our daily lives, responsible for speech recognition on a smartphone, automated trading on NASDAQ, and the autopilot of a self-driving car. But wait … can’t AI systems process text these days? The short answer: yes, through natural language processing (NLP), certain AI systems can perform tasks after consuming large blocks of textual data. For example, by scanning Wikipedia, such a system could answer questions in a game show like Jeopardy! Bottom line: Machines learn from data, not manuals. Consider the self-driving electric cars manufactured by Tesla. These computerised vehicles continually send back terabytes of target-rich data to their manufacturer. Tesla’s AI learns from every decision by all of its thousands of human drivers, second by second. What caused an accident? How quickly did the vehicle get from point A to point B? How many sudden stops were taken? Each piece of data makes all Tesla vehicles smarter. It’s not uncommon for a human underwriter seeking to decide a case or an actuary seeking to develop pricing assumptions to confront, not too little, but too much potentially useful data. Identifying and analysing information that would be relevant to risk assessment is often far too time-consuming. Increasingly insurers have begun to wonder whether machine learning models could be developed to access all available information on the internet, in real time, from medical papers to Twitter feeds, and then help insurers and reinsurers connect the dots to determine risk-rating factors, and discover underwriting opportunities. This is why ‘big data’ is such a big deal in insurance. Many have speculated that AI could confer significant competitive advantages, enabling carriers to increase efficiencies and lower costs without substantially increasing portfolio risks. Hardly. Chess-playing AlphaZero could use something much better than big data to learn how to checkmate; AlphaZero had infinite data, because AlphaZero was playing chess against itself, and learning from every move. Unfortunately, underwriting and actuarial science are both far more complex than a game of chess; there are far too many variables to consider when evaluating a case or rating a risk. In the science fiction movie The Matrix, an artificial intelligence harnessed vast computational power to simulate an entire world of individuals making lifestyle choices, suffering diseases and accidents, being born, giving birth and dying. Only with such a controlled simulation could we train a fully ‘artificial’ underwriter to examine all possible decisions, link these choices to outcomes, learn from the results, and try again… and again… and again. Life is not a board game and neither are underwriting and actuarial science. Teaching a machine to assess new human diseases and underwrite unknown conditions would require Matrix-level computational might that is pure science fiction. This is not to say that AI has no place in underwriting. While AI cannot master underwriting in the same way AlphaZero mastered chess without data, AI can be trained on underwriting data and learn to offer valuable insights that can become part of the underwriting process flow. AI is currently good at determining the lowest and highest risk applicants and leaving the middle to human underwriters. As AI improves this, the middle will shrink. AI today can teach large computer grids to produce better outcomes, and InsurTech companies are harnessing the human experience and the power of AI to enhance many insurance business processes. Yet human underwriters and actuaries remain an integral – and essential – part of these processes. AlphaZero and experiments like it have set the chessboard, and it’s up to new generations of data scientists, underwriters, actuaries, and others to continually play, and improve, the game – one move at a time. Jeff Heaton, Ph.D. is a vice president and InsurTech data scientist at Reinsurance Group of America (RGA) with 17 years life reinsurance experience. Additionally, he teaches a TensorFlow/Keras deep learning class as a member of the adjunct faculty at Washington University in St. Louis. Working both individually and as the leader of small teams, Jeff provides innovative solutions to complex problems involving underwriting data, electronic medical records (EMR) and policy data. Jeff holds a Master of Information Management (MIM) from Washington University in St. Louis, and a Ph.D. in computer science from Nova Southeastern University (NSU). He is a senior member of the Institute of Electrical and Electronics Engineers (IEEE) and Fellow of the Life Management Institute (FLMI). He is also a member of ACM and Upsilon Pi Epsilon (UPE). He has published his research through peer reviewed papers with the Journal of Machine Learning Research, Springer, and IEEE.